Penguin Family in Tinsel Chunky and Dolly Mix DK. Knitting pattern for cute Family of Penguins made in King Cole Tinsel Chunky and Dolly Mix DK yarn. IF TINSEL CHUNKY IN WHITE IS OUT OF STOCK the Big Value Chunky in White is a good substitute. Girl Penguin - Approx 17cm high - Requires KC Tinsel Silver 206 x 1 50g ball, Tinsel White 204 x 1 50g ball, Dolly Mix Red 09 x 1 25g ball and Dolly Mix DK Orange 144 x 1 25g ball. 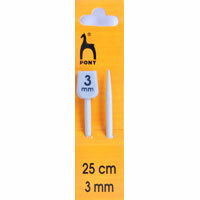 Pair of 4mm and 3mm knitting needles, oddment of black and white yarn.Toy filling. Stitch Markers. Boy Penguin - Approx 18cm high - Requires KC Tinsel Silver 206 x 1 50g ball, Tinsel White 204 x 1 50g ball, Dolly Mix Royal 21 x 1 25g ball and Dolly Mix DK Orange 144 x 1 25g ball. 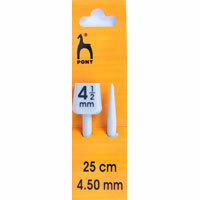 Pair of 4.5mm, 4mm and 3mm knitting needles, oddment of black and white yarn.Toy filling. Stitch Markers. Mummy Penguin - Approx 20cm high - Requires KC Tinsel Black 230 x 1 50g ball, Tinsel White 204 x 1 50g ball, Dolly Mix Red 09 x 1 25g ball and Dolly Mix DK Orange 144 x 1 25g ball. Pair of 4mm and 3mm knitting needles, oddment of black and white yarn. Toy filling. Stitch Markers. Daddy Penguin - Approx 21cm high - Requires KC Tinsel Black 230 x 1 50g ball, Tinsel White 204 x 1 50g ball, Dolly Mix Royal 21 x 1 25g ball and Dolly Mix DK Orange 144 x 1 25g ball. 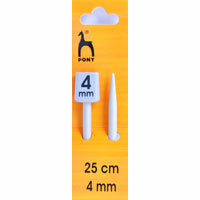 Pair of 4.5mm, 4mm and 3mm knitting needles, oddment of black and white yarn.Toy filling. Stitch Markers. See related items below for yarn, needles and filling. Childs Boleros to Knit made in Tinsel. 20 - 30 in. Christmas Hats to Knit made in Tinsel, 2 - 12 yrs. Tinsel - a fun Eyelash Yarn. 50g = 70m. Festive Eyelash Yarn. 50g = 70m. Tinsel an amazing Festive Eyelash Yarn. 50g = 70m. Big Value Chunky yarn from King Cole 100% Premium Acrylic. Tinsel a fun Eyelash Yarn. 50g = 70m. Mum and Baby Duck Toys to knit. Bears in Tinsel Chunky and DK. Owls and hedgehog in Tinsel Chunky and DK. Aluminium knitting needle 3.00mm thick. Aluminium knitting needle 4.00mm thick. Aluminium knitting needle 4.50mm thick.